Kiote Services provides installation of remote monitored security and alarm systems. Peace of mind can not only be derived from having a complete integrated home security system but also from having the ability to remote view your property from anywhere in the world, 24/7. We’re fully dedicated to providing systems to fit any budget from the most basic to the most advanced remote monitoring services. We invest in innovation, and cutting-edge technology to make sure we provide you with a 24/7 monitoring system with unbeatable reliability, quality and transparency. How can remote monitoring services work for my site? 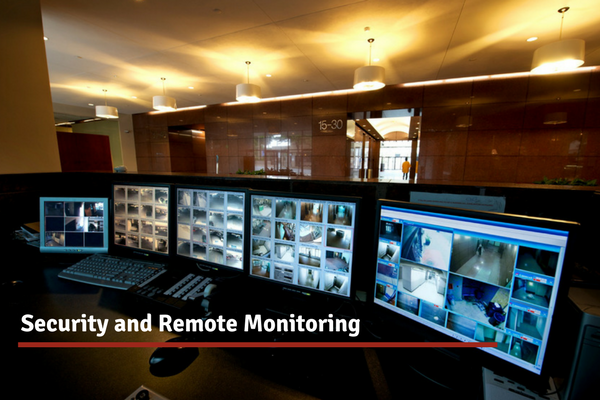 Remote monitoring services improve the security and control of any facility or site.